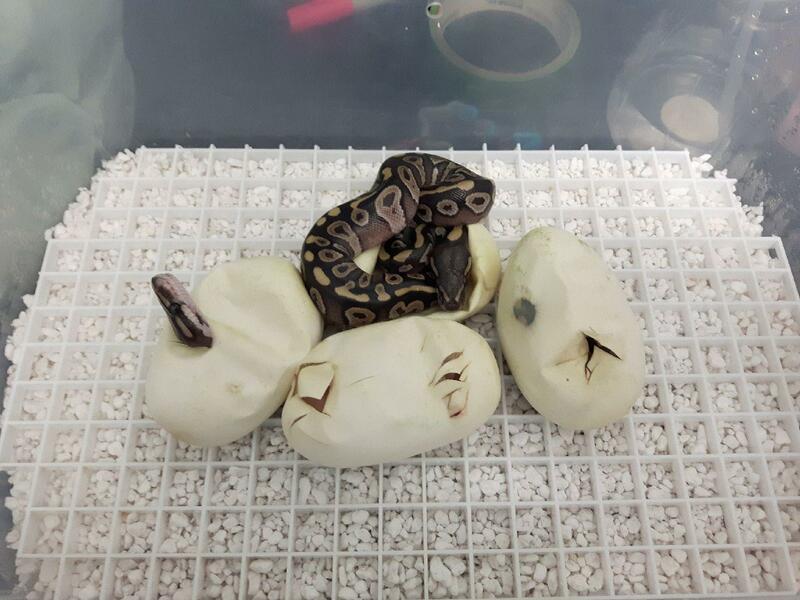 Eggs have begun to pip from our Blue Eye Leucistic (Lesser Mojave) x Mojave clutch! So far, it looks like we have one Mojave, two Mojave or Lesser, and one possible Blue Eyed Leucistic. Aside from that though, we’ve had a surprisingly uneventful breeding season… We observed ovulation in one female, but she seems to have reabsorbed her eggs, and our other two breeding females didn’t ovulate at all! We had hoped this would be our biggest season yet, but looks like mother nature had other plans!! That’s just part of breeding though so it hasn’t gotten us down-if anything we’re just more excited for next year!